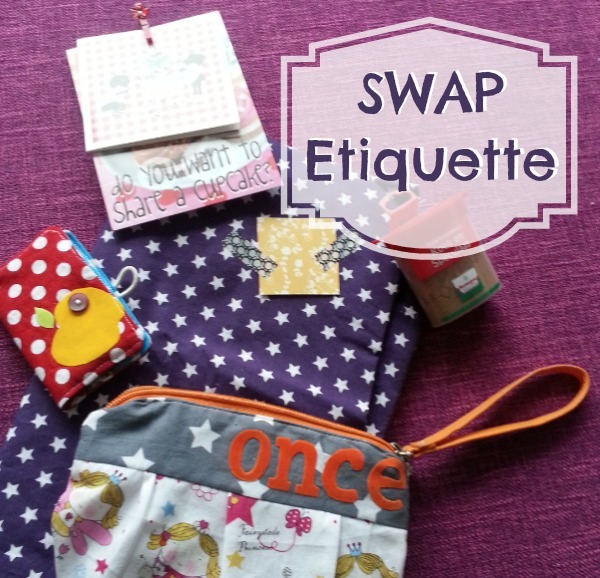 Swap etiquette is a delicate balance. I mean, what if you have never participated in one before and have no idea where to start? Well, have no fear, let’s start at the beginning and talk “SWAP”. If you were a Girl Scout (former scout and leader here) you might remember that SWAPS are hand made pins created for trading and collected from one another. In scouts, SWAPS stands for Special Whatchamacallits Affectionately Pinned Somewhere. Another meaning for the acronym SWAP is Share With A Pal. I’ve always used the first one with my troops, but the second works for all other swaps especially among handmade communities like ours. Swap can range from a specific handmade project or theme like a zippered pouch to a simple trade of product like fabric or trims. It is best to fully understand this requirement before committing. The ship date is critical! This date is set in stone. It is better to be early when shipping out your package then sending something late. If the ship date does not work for your schedule consider waiting for the next swap. * There is nothing worse than anxiously waiting for something to arrive and being greeted by an empty mailbox each day. It is fun to take pictures along the way and share your experience with other swap partners. Everyone enjoys seeing the fun goodies being traded all over the world. Here are examples of swaps within our community. Above all swaps are all about sharing, having fun and the thrill of the surprise! If asked for any color and style preference please keep in mind that these are suggestions only. Your swap partner is not creating a made to order gift and would like to add their creative stamp to the project. From time to time you may receive a package that you not over the moon with, please remember that it was made with the purest of intentions and perhaps the simplest of skills. Be kind with your comments and understand that everyone has different skill sets and taste levels. Be sure to put your best foot forward, read guidelines and share your best intentions. While my first experience with swapping was as a young Girl Scout, I have fallen in love with participating in them within the handmade community. The thrill of receiving a package in the mail always makes me smile. Here are a few examples of past goodies. To sum things up, swaps are all about having fun, sharing your creativity and making new friends. So, if you have never participated in a swap before and don’t know where to begin, I say don’t be shy – jump in, the fish won’t bite. Be sure to read the guidelines for each swap, be ever so mindful of the ship dates and don’t be afraid to ask the host questions. By following these simple guidelines and sharing your best intentions you will not only receive a wonderful surprise in the mail but hopefully you will make a new friend along the way. Still looking for more: Swap-bot has a fantastic glossary of swap terms and shares updates on snail mail swaps. ps- The Sewing Loft is now hosting simple swaps with Scrappy Girls Club. They are a great way to try stretch your skills and meet a new sewing buddy. Visit here to see the current SWAP exchange and sign up here for SWAP updates. Threadbias is a great place to join in a swap with several going on right now. There’s a travel tote swap, caffeine theme, circle square, charm squares (look under Progressive swaps). I’ve managed and participated in several swaps and have not been disappointed yet! Hello Christine! 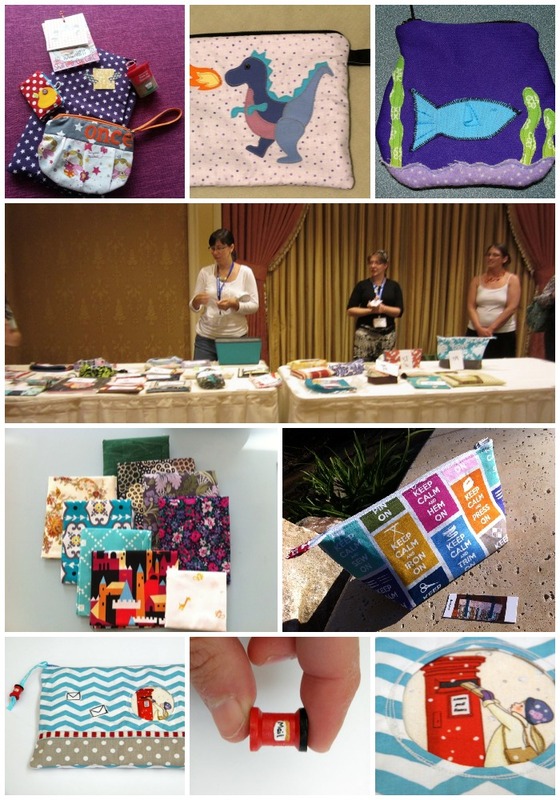 I met Threadbias at Sewing Summit last year and did not realize that they also host swaps. I will need to swing by and check it out. Thanks so much for sharing the info! 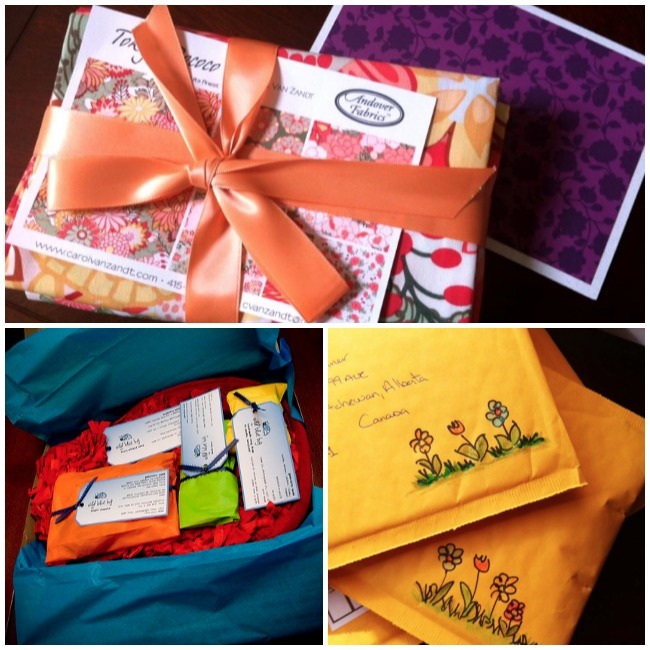 Heather – will you be hosting another swap this year? I had a blast with the mini quilt one. Also what is Threadbias? Great post Heather! I’ve done a few swaps with great success. They are a fun way to connect in the crafty world! I want to be your swap partner!! Had a blast hanging with you! Can’t wait to follow your blog! I’d like to suggest an additional consideration. While you don’t need to use the absolute top of the line supplies, at least use decent quality and follow the instructions. People are expecting to get something similar to what you will receive from them. In the second swap I participated in, the instructions said to use “decent quality 100% to make a 12 1/2″ block. They do not have to be complicated. Well made simple blocks are always welcomed.” One woman took 10″ squares of cotton and very poorly machine-appliqued a star made with material so cheap you could read through it. We were disappointed because this was her second swap with us and we’d cherished hopes that she’d learned from the first. To make matters worse, she’d introduced her sister to our group and THAT block was equally bad. At least the sister had the good grace to tell us that obviously, she’d not been given all the information and that she was sincerely embarassed by her submission. You don’t have to be an expert to join a swap, but your best is expected and celebrated. Newbie here…what are the dimensions of a fat quarter? A fat quarter is cut from a yard of fabric. The standard dimensions are 18″ x 22″. You can find more fun facts about this common cut of fabric here: https://thesewingloftblog.com/how-to-use-a-fat-quarter/. But be warned… once you start collecting them, they are addictive!